The Rothko Chapel, one of Texas' most beloved sacred spaces and art havens, will take a break next year before its 50th anniversary celebration in 2021. The nondenominational Rothko Chapel and grounds will close March 4 through the winter of 2019 for renovation as part of its Opening Spaces capital project. 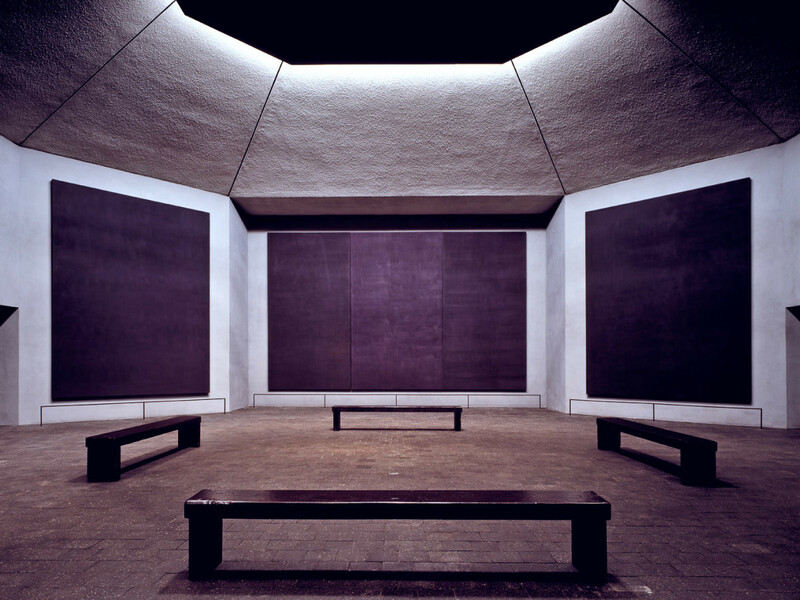 Founded in Houston by John and Dominique de Menil and designed by architects Philip Johnson, Howard Barnstone, and Eugene Aubry, in close collaboration with renowned artist Mark Rothko, the chapel was gifted as a place for contemplation and reflection. The chapel holds 14 masterpiece paintings by Rothko on its eight walls, and as has become a center of peace for Texas and the world. The ambitious project calls for welcome and community engagement centers, as well as landscaping improvements, including new and enhanced green spaces that will highlight the connection between the chapel, administration building, and rest of the neighborhood. Plans also include the creation of new offices, archives, library, and conference room. While the Rothko Chapel remains closed to the public for the majority of next year, its mission to connect art, spirituality, and compassionate action through a broad array of free public programs will continue. The chapel’s public programming will go on off-site throughout the restoration, and will always be listed on the events calendar. Currently, the Rothko Chapel is open every day of the year from 10 am to 6 pm, and admission is free.